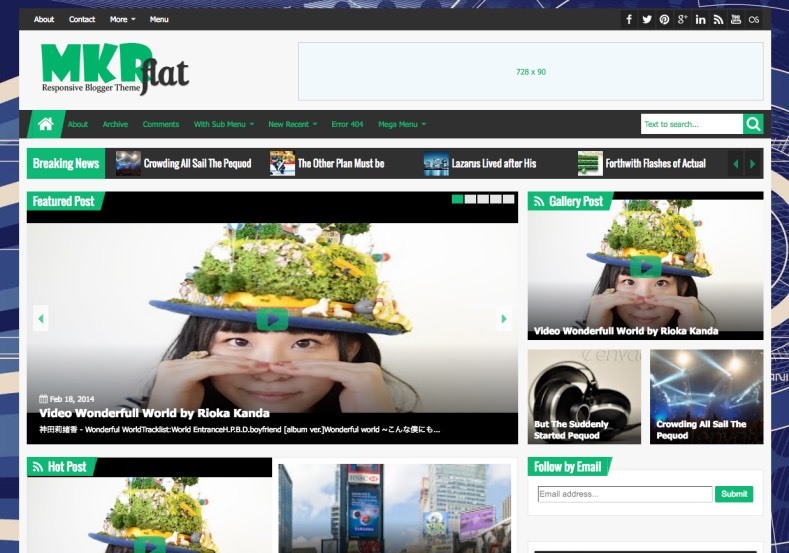 MKRFlat blogger template is responsive design enabled template. This template has mega menu so its help to navigate easy to user. The template has attract well placed email subscription box and social bookmarking icons. The amazing home page magazine layout can help attract your audience. The template has layout with four columns footer and 2 columns with a right sidebar. You can built navigation with the easy slider, automatic page navigation menu and the Mega menu options. You can monetize easily with the ads ready theme. This template has tabbed widget features so you can show your popular post, blog archive and post tags with the single widget. The template has new striker so you can build your news website easily. Best choice for new and magazine websites.